Le Gourmet Factory – When chefs need a commercial kitchen to grow and expand their business, they turn to Le Gourmet Factory! Le Gourmet Factory has 8, state of the art, certified commercial kitchens for rent. 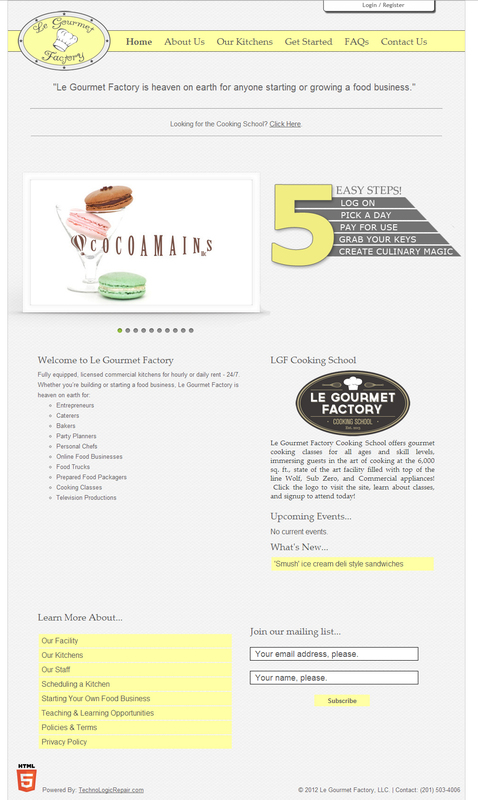 When an approved customer wants to utilize a kitchen, they turn to Le Gourmet Factory’s website. Le Gourmet Factory’s website provides a portal for their customers to view and manage their account – including purchasing credits, reserving kitchens, and viewing their kitchen reservations!